Today, Mark and Drew are discussing Batgirl 52, originally released May 25th, 2016. Mark: What is the best way to portray a female superhero? The first sizzle reel revealed for CBS’s (now CW’s) Supergirl television series was met with a healthy dose of skepticism and derision since it included a number of moments where Kara is shown doing stereotypical “girlie” things and its The Devil Wears Prada-esque setting. Some compared it to SNL’s satirical trailer for a Marvel Black Widow movie that aired just a little bit before the Supergirl first look was released. The fact that Kara worried about boys at all or worked at a fashion magazine meant that she wasn’t a strong female character. I haven’t watched Supergirl at all outside of the pilot, but the general consensus of her portrayal now that the first season has concluded seems to be overall positive. 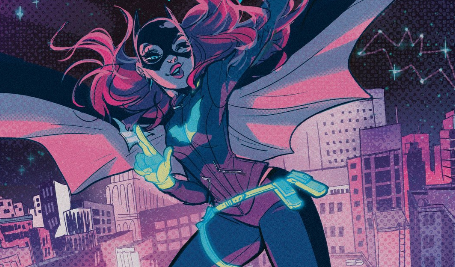 Today, Mark and Spencer are discussing Batgirl 46, originally released Dec 16th, 2015. By Mark  Posted in Alternating Current, Batgirl, DC YOU, Mark Mitchell, Spencer Irwin	 Tagged Babs Tarr, Barbara Gordon, Batgirl, Brenden Fletcher, Cameron Stewart, Frankie, Hasigawa family, Luke Fox, Mokugeki, Nadimah, Oracle, Serge LaPointe, Spoiler, Stephanie Brown?